The Art Fun Studio is a place where children and adults create, learn, explore and have hours of excitement! Plan a Birthday Party, check out our Paint and Sip events or just walk on in for spontaneous fun! Our creative and fun party packages are always a hit. 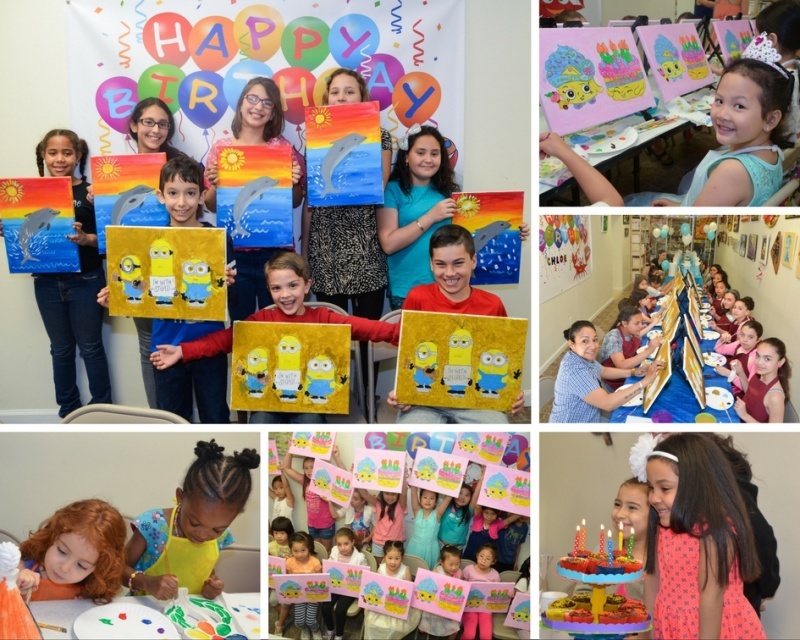 Our no-stress parties make you look like “parent of the year!” We offer exciting art activities for kids: canvas painting, ceramic or plaster painting, mosaic art, and other cool projects. Our worry-free packages include art activities for the kids, pizza, and drinks, complimentary photography so you can enjoy the moments, and decorations so you save time on a trip to a party store. All you need to bring is the cake. Each child receives personalized attention from our studio owner and all party guests and parents enjoy their time at Art Fun Studio. Canvas painting is our most popular package. Kids feel like Picasso as they create their painting using a 12” x 16” canvas set on an easel with professional, high-quality brushes and a painter’s apron. As with canvas art, painting ceramic figurines and plaques can be the perfect art form for a child because they take a known shape and bring it to life with color and texture. We help kids achieve the desired results with professional instruction and high-quality art materials like paint, brushes, canvases and ceramics. Mosaics are among the most unique and unusual art forms around. Our studio owner has won numerous awards for her artwork and creativity in this medium. Children will create a mosaic out of natural materials such as seashells, stones, sea glass, and crystals. Kids will take home a beautiful, natural, and definitely unique item and experience. We are a unique birthday party experience location geared toward properly entertaining toddlers. Birthday parties for young children can take a lot of work, patience and creativity. We have found a perfect formula to keep the toddlers engaged and the parents at ease. During the party, each child receives a blank canvas, paint, and a paintbrush. They are able to explore colors and their own creativity to produce beautiful backgrounds where we help them put their handprints. After they are done, we cover the artwork in glitter and you get to take home a new creation and capture a moment in time with their handprint on the piece. 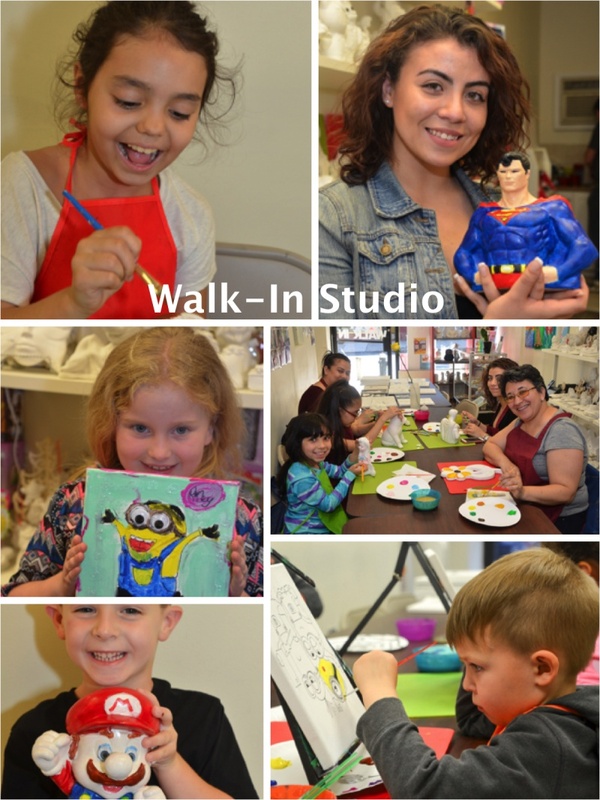 Get inspired in our walk-in studio and create unique art with “Ready to Paint” plaster or pre-drawn canvases with kid’s favorite characters. We offer a big selection of ready to paint items for boys, girls, and adults. Choose from: Disney characters, Shopkins, Star Wars, Batman, Superman, cars, trucks, flowers, birds, seasonal decorations, animal, plates, and much more. Our walk-in studio is fun for the whole family so join us today and create some memories. In this exciting class kids will explore a myriad of techniques in painting such as color, application, mixing, texture, composition and working with personal subject matter. Students learn drawing techniques and the endless possibilities of mixed-media, paints, pastels, and collage. Children create different projects, including one-of-a-kind 3-D projects, mosaic, and paintings. 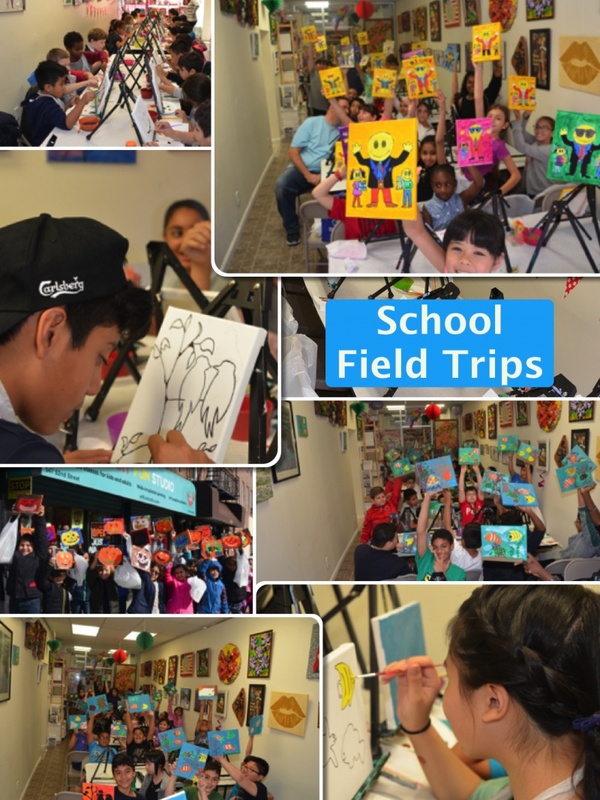 If you are looking for a fun, interesting and educational field trip for your students, Art Fun Studio is the place to go! A field trip to our studio offers students the opportunity to learn about art through an interactive experience lead by our professional instructors. Students are able to mix paints, use brushes and learn about different painting techniques through this two hour class. With the option to pain on either canvas or on the specialty figurines selected by teachers in advance, our classes can be customized to correlate with the curriculum or just to add diversity to the offering. For mom’s and dad’s to relax, de-stress and have some fun, we offer Sip and Paint evening classes. These events are a great way to get family members, friends and colleagues to come together and have some fun! 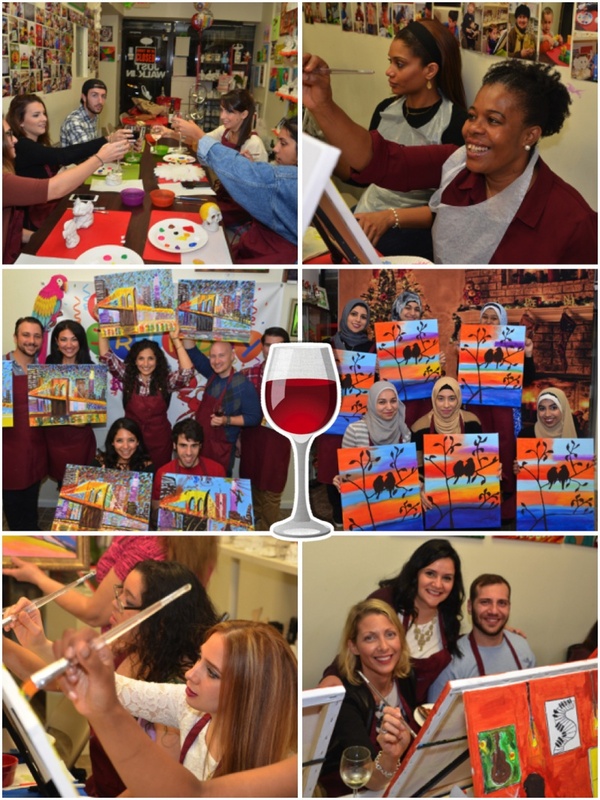 Sip and Paint events are perfect for birthday parties, ladies night out, team building or any other occasion. Our classes are perfect for every level of experience. Those with an artistic flair can challenge their skills with a landscape, a portrait, or modern art. Beginners can enjoy learning from instructors, as we tailor each party to the needs of every attendee.